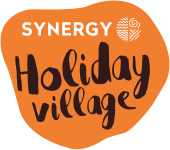 Situated amidst hills yet removed from the popular, touristy spots is Stoneleigh Park, the Synergy Holiday Village property at Khandala. Its compactness gives it an intimate, personal touch. As the property is situated close to the Pune-Bangalore highway and rapidly developing industrial areas, it makes for a compelling investment case. Clear title, an FSI of 1.5, Vastu compliance and a choice of interest-free EMIs make this property worth coveting.